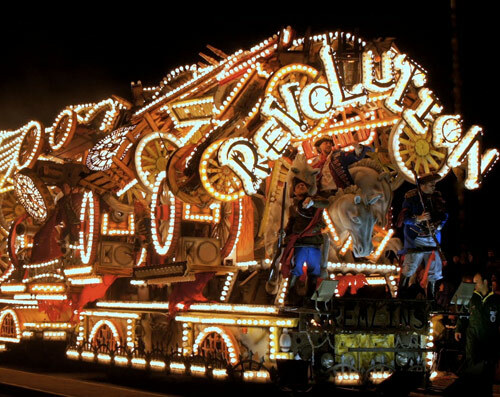 Bridgwater Town Carnival is one of the most illuminated carnivals in the world and held once a year in the town, around November 5th each year. The run up to the actual carnival is preceded by the two weeks of fantastic Carnival Concerts performed by each of the carnival clubs. For more information, please click here.